The ICC World Twenty20 2016 is about to start within a few days. To keep the cricket fans updated, graduates from the FAST-NU Lahore, have developed an easy-to-use and interesting app for the cricket championship. 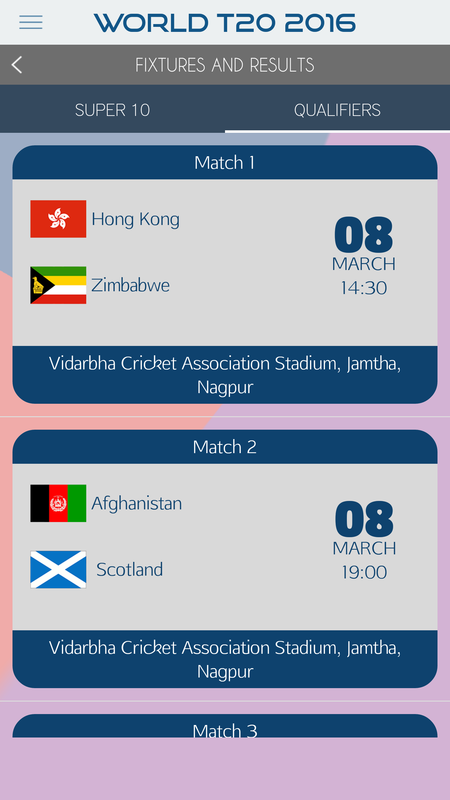 The World Twenty20 championship kicks off on the 8th of March 2016. 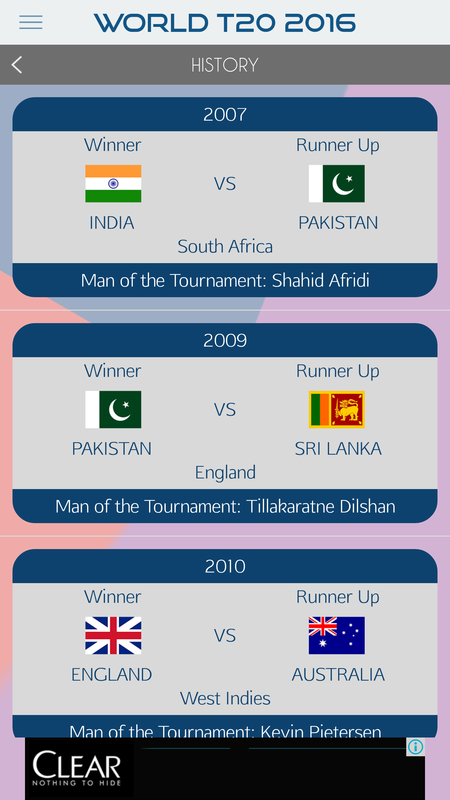 The sixth edition of the tournament will feature 16 teams, fighting for the throne to the shortest format of cricket. The eight lowest ranked teams will play a qualifying round to compete during the second round featuring the top 10 teams. The Super 10 stage starts on the 15th of March. 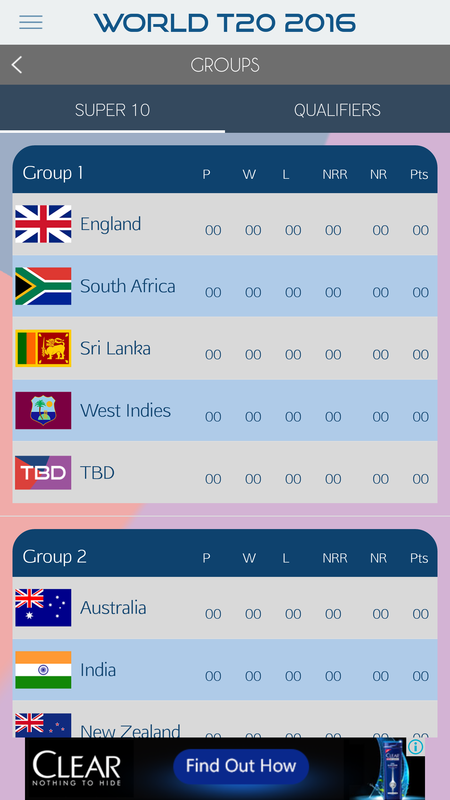 The app, named ‘World T20 2016’, has all the features required to keep sports fans up to date and engaged. 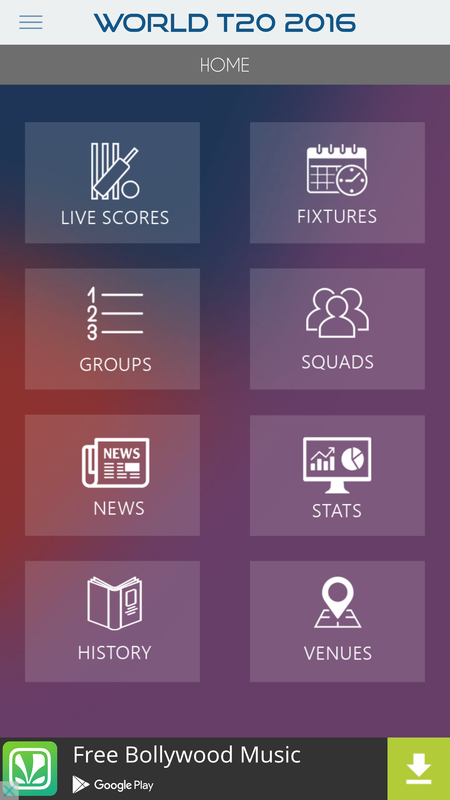 Users of the app can view updated squads for all the teams, get fixtures or results for each game and view groups along with points and net run rates. Features expected from a cricket app, like cricket news, records, statistics and access to social services are all in there too. App users can also enable notifications prior to a match or during the match when a notable event, like a wicket fall, century or end of innings occurs. The developers have built an app that will change as the tournament progresses. More features, which are more appropriate for the latter part of the tournament will be added later on. The added bonus of the app is the additional history about the tournament and information regarding the stadiums where the games will be played. There’s a separate section regarding the previous editions of the tournament. Users get to know the finalists of each World Cup, the host country and the Man of the Tournament for each edition of the championship. 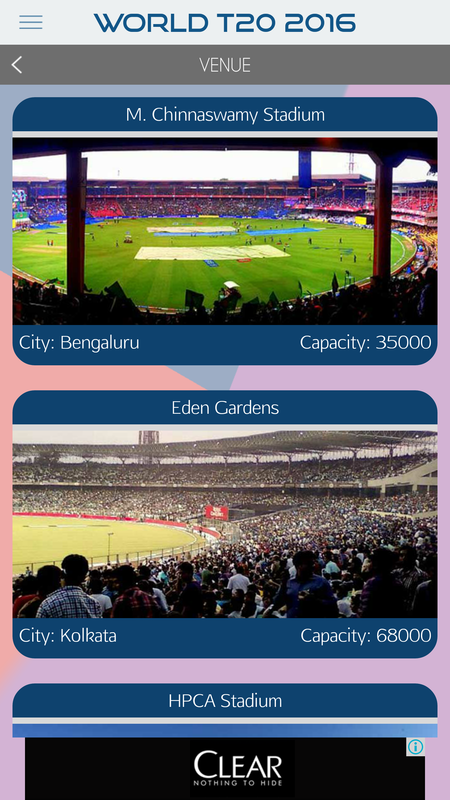 The Venues section details, the name of the ground, the city where it is situated and the spectator capacity of each stadium alongside a memorable photo. As soon as the matches begin, the app will show full scorecard along with ball-by-ball commentary for each game. The developers will enable a chat forum, a trivia section and match alerts by 8th March. Users will be able to compete with each other by predicting the match results and the man of the match award winners to win the Fan of the Day Award. The sliding menu holds access to the sign-up page. Users can log in and get to comment under live match scores. Sharing button sits in the sliding menu too. The developers have put in a separate featured stories section, also accessible through the side menu, for those who love to stay updated by going through the latest photo posts. As far as the interface is concerned, it doesn’t abide by the Material Design recommendations published by Google. It’s based on the dated Holo design, but it gets the job done. The app is fluid, there are no lags or any visible bugs to speak of. The background and the colors look good and don’t hinder the user experience in any way. The only grievance one could have with the app, are the occasional popup ads. While the ads at the bottom are non-intrusive, the popup ads are fairly disturbing. However, the ads are powered by Google so the user gets the ads that are custom-tailored for them. In short, it’s a good app for the Pakistani users to stay updated about the game and keep in contact with fellow supporters when discussing the progress of each match. The app can be downloaded from the Play Store here. Bro, no one can show stream in their app due to copyrights issue. In PSL match was live on Youtube, but it is not the case in World Cup. If anyone uses 3rd part stream, app will be banned by Google. A.o.A everyone.congrats to lums student looking great app.